The past week has been awash with news related to the highly anticipated Kingsman: The Golden Circle. A sequel to last year’s smash hit Kingsman: The Secret Service, the follow-up should do what sequels do best: go bigger. Not only will the scale of the film go bigger, but the cast list will receive a serious shot of adrenaline as well. 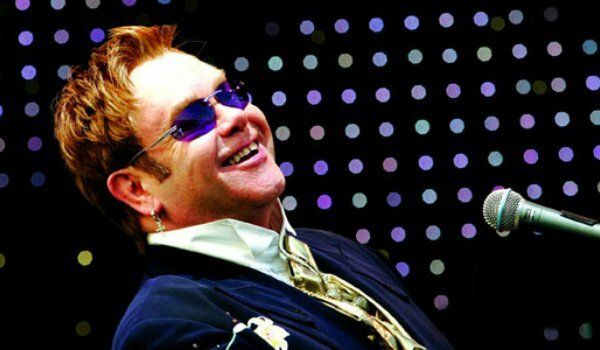 However, for The Golden Circle to really make its way up into the stratosphere, it will need a little help from the Rocket Man, a.k.a Sir Elton John. In what could only be truly described as today’s most bizarre casting news, we’ve just learned iconic musician Sir Elton John may potentially join the ensemble of Kingsman: The Golden Circle. A new report from THR seems to indicate that the singing icon could potentially have a substantial part in the film, although no concrete details have come forward pertaining to the nature of the role. The trade actually suggests he could play himself. If Sir Elton John does in fact sign on for the Kingsman sequel, it will mark a major departure from his usual film efforts – which are often relegated to musical accompaniment and voiceover work. If these rumors turn out to be true, and Sir Elton John does feature in the upcoming Kingsman sequel, I think I speak for everyone when I say I hope he plays a gun-toting badass adorned in John’s trademark flamboyant outfits. The fact that Sir Elton John may play a major part in Kingsman: The Golden Circle doesn’t exactly come as a complete surprise to us. Kingsman: The Secret Service featured an absolutely all-star ensemble consisting of Samuel L. Jackson, Michael Caine, and even Luke Skywalker himself, Mark Hamill. Although yesterday we would not have guessed that Sir Elton John would sign on for the sequel, it makes sense when we consider the kind of prestige that this franchise has already managed to acquire. This news represents only the latest in a long line of recent casting announcements related to the upcoming spy sequel. Aside from Sir Elton John, we know for certain that Kingsman 2 has also enlisted the acting talents of Game of Thrones alum Pedro Pascal for a major part in the film. Additionally, a poster released last week also seems to indicate that Colin Firth’s fan-favorite character Harry Hart may also return to the action – somehow surviving a bullet to the head during the events of the last film. We will bring you any and all details related to Kingsman: The Golden Circle as they become available to us. The highly anticipated sequel to last year’s hit spy spoof will blast its way into theaters next summer on June 16, 2017.